The Florida Bar Foundation has received a $500,000 cy pres award from a class action settlement in a case involving rental fees for propane tanks. 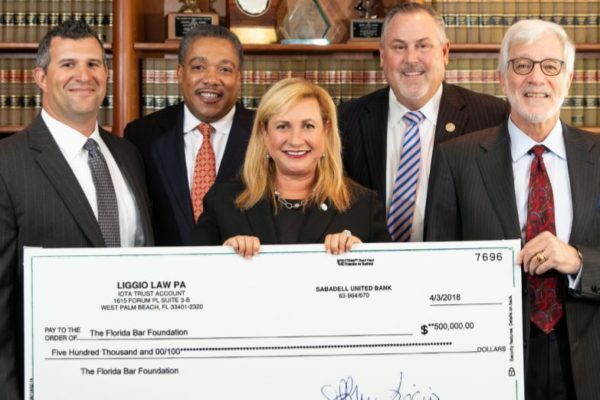 Jeffrey M. Liggio of West Palm Beach firm Liggio Law represented the class against Heritage Operating L.P., now AmeriGas, through more than 12 years of litigation. Philip M. Burlington of West Palm Beach firm Burlington and Rockenbach, P.A., Scott Johni of the Law Office of Scott Johni in Tampa, P.A., Erin Whittemore Lohmiller and Kent G. Whittemore of the Whittemore Law Group, P.A. in Tampa, and Geoff Stahl of Liggio Law also represented the group. Judge Pamela Campbell of the 6th Judicial Circuit in Pinellas County approved the cy pres distribution. The Foundation will use the funds to support legal aid organizations throughout Florida. The case involved propane tanks that were buried in homeowners’ yards. When Fred Williams, the first class representative, realized he was being charged rent for a propane tank he owned, he sought legal help. His lawsuit ended up affecting more than 65,000 Florida customers. The term cy pres comes from the French, “cy près comme possible,” meaning “as near as possible.” Under cy pres, the courts can approve a charitable donation out of unclaimed class action funds or a direct grant in lieu of damages to an organization that could vindicate class member rights in the future. Cy pres awards prevent a windfall for the defendant while serving to deter future violations. 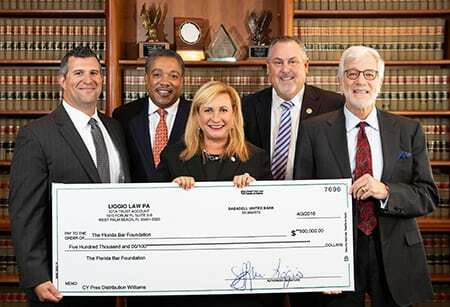 “We are grateful to Jeffery Liggio and Judge Campbell, who recognize the importance of the Foundation’s efforts to increase access to justice through our support of legal aid organizations at this critical time,” Florida Bar Foundation President-elect Juliette Lippman said.